Do Doctors Tell Patients About Atlanta Surgical Errors? Surgeons are expected to provide a reasonable level of competent care for patients, and to alert patients if things go wrong on the operating table. Patients are under anesthesia so cannot know what exactly doctors are doing or if there is a problem. If something goes wrong, however, doctors are supposed to disclose. Unfortunately, not all doctors follow best practices for letting patients know what happened when the patient was under anesthesia and undergoing surgery. If you are a surgical patient and your doctor makes a mistake during your procedure, you could potentially have a claim for medical malpractice. While it can be a challenge to get the information necessary to show what happened during surgery or how your doctor let you down, an Atlanta medical malpractice lawyer can help you. Do Surgeons Let Patients Know When Something Goes Wrong? According to CBS News, there are certain guidelines which surgeons are supposed to follow if something goes wrong during the procedure when the patient is under anesthesia. Th nationwide guidelines advise the surgeon to explain to the patient what happened. The surgeon should tell the patient about the problem or complication within 24 hours of the time the operation took place. The surgeon should let the patient know he or she regrets the problem which happened, and should work with the patient so the appropriate next steps can be taken regarding treating injuries resulting from the issues. Unfortunately, many surgeons are not following these best practices. A survey of surgeons in 12 different specialty fields was conducted to ask if the surgeons follow disclosure guidelines. 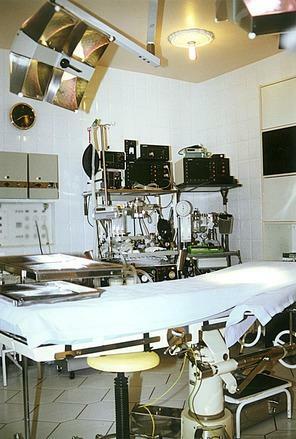 Many surgeons failed to follow at least some of the protocols. For example, apologizing to the patient for the mistake is recommended, but only 55 percent of surgeons responding to the survey said they made their apologies after something went wrong during a procedure. Further, only 55 percent of surgeons said they talked with their patients about whether the errors they had made were preventable or not, despite the fact that discussing the preventability of problems is one of the recommended guidelines. Patients are not in a position to understand if problems happen when they are under anesthesia, so it is a big problem that not all doctors are giving these patients the help they need or the proper post-surgical support when it comes to addressing medical mistakes. Patients need to know what happened so they can get appropriate followup care and manage the consequences. If a doctor's actions were negligent and the patient was harmed because of them, the patient also needs to know about the errors so a medical malpractice claim could be brought against the surgeon. A malpractice claim can provide important coverage for losses. If doctors do not disclose or provide comprehensive information about surgical issues that arose, an attorney can provide assistance in securing medical records and having their records reviewed by an expert to identify the consequences of surgical errors made during a procedure.